"Violence does, in truth, recoil upon the violent, and the schemer falls into the pit which digs for another." 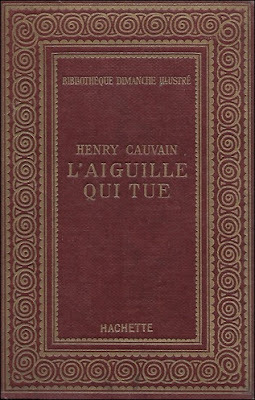 Henry Cauvin's L'Auguille qui tue (The Killing Needle, 1871), originally entitled Maxmilien Heller, appeared sixteen years before Sherlock Holmes took his first bow in Conan Doyle's A Study in Scarlet (1887) and began to elevate the detective story as one of the most popular genres of literature, but in France it's claimed that the iconic detective was modeled after Maxmilien Heller – who shares some similarities with Holmes. However, I found the similarities between both characters to be somewhat superficial. 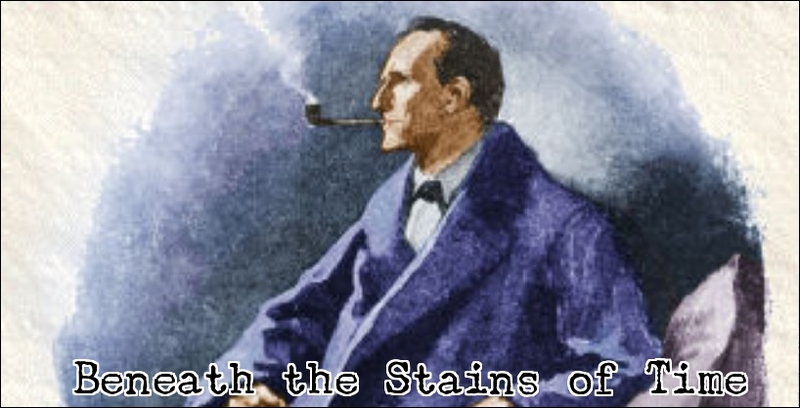 They also cheapened Cauvin's notable accomplishment of having created a genuine detective character during the decades that separated Edgar Allan Poe's 1841 famous short story, "The Murders in the Rue Morgue," and the birth of Sherlock Holmes. And such well-defined characters were pretty rare during that window of time. Xavier Lechard, who used to blog At the Villa Rose, noted in his review of Charles Barbara's L'Assassinat du Pont-Rouge (The Assassin of Pont-Rouge, 1855) that a problem with most French genre-historians is that they're "less informative and rigorous" than their counterparts across the pond. I suppose their claim that Heller was a prototype for Holmes has something to do with their rather one-sided argument with the Anglo-Saxon world, in which they appear to take as much credit as possible for any innovation found in the genre post-1841 and sometimes they were right – such as Émile Gaboriau being "the father of the detective novel." But the claim that Heller was basically the original Sherlock Holmes is reaching. On a side note, Poe's status as the Father of the Detective Story is disputed, but the claimants aren't French: Adolph Müllner's "Der kaliber" ("The Caliber," 1828), William E. Burton's "The Secret Cell," published in a 1837 issue of Gentleman's Magazine, and Otto Ludwig's novella "Der todte von St. Annas Kapelle" ("The Dead Man of St. Anne's Chapel," 1839). You can also make a case that Anne and Annabella Plumptre's "The Spectre of Presburg: A Hungarian Tale," collected in Tales of Wonder (1818) and Ye Old Book of Locked Room Conundrums (2016), is an early precursor of the detective-and impossible crime story. So there's something to argue about, but that argument is between the Americans, English and Germans. Sorry France! Anyhow, I'm getting horribly off-topic here. Back in 2014, John Pugmire of Locked Room International published an English translation of Cauvin's The Killing Needle, which finally gave readers outside of the Francophone world an opportunity to read and judge the merits of this 146 year old mystery novel for themselves. I think the book is particularly of value to readers with a special interest in the history of the genre. The Killing Needle opens with a visit by the unnamed narrator, a member of the Faculty of Medicine, to the room of Maximilien Heller, where the skeleton figure lived in isolation for the past two years and devoted those lonely days to study various subjects – writing treatises on politics, economics and philosophy. Heller refers to himself throughout the story as a philosopher, but "the hundreds of manuscripts" that filled his attic room failed to sooth his suffering mind. It makes the narrator wonder if "the invisible cords" that tied him to his fellow human beings had been "irreparably damaged" and whether he could cure "the painful moral illness" consuming Heller's body and soul. Well, the cure came in the form of a policeman and the prime suspect in a poisoning case. Jean-Louis Guérin used to occupy the room next to Heller's room, but, for the last week, he had been in the employ of M. Bréhat-Lenoir. But his employed had been found poisoned in his locked bedroom, money had been taken and traces of arsenic were found in a cup, which is why the police dragged him back to his old lodgings and searched the place. They also hoped that his old neighbor, Heller, might give them a condemning statement about the suspect's character. However, the incident inspires Heller to save Guérin from the scaffold and wants to see the daylight again, but, from here on out, the plot becomes a bit difficult to properly review, because the story is not really that of traditional detective story. It's still a very early incarnation. 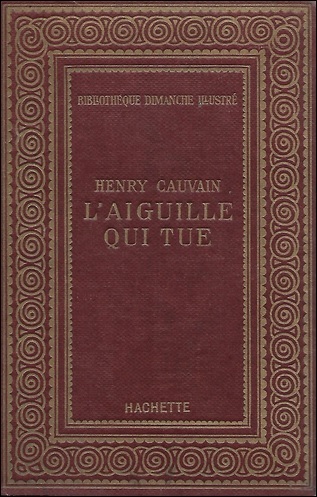 Pugmire said in his introduction that the English translation "is based on the 1930 Librarie Hachette edition L'Aiguille qui tue," which differs from the original Maximilien Heller "only in chapter structure." So I imagine the original incarnation of the book read even less as a straightforward, flowing narrative. Let me give it a shot by, first, pointing out why the Holmesian comparisons are so very tempting to make: Heller has a talent for disguises and one scene has him fooling his narrator, which is something that happened to Watson. Heller also spends a large swath of the story under an alias, and in disguise, in the employ of the victim's brother, Bréhat-Kerguen, who whisks him away to his residence in Brittany – an ancient construction, dilapidated construction with "walls blackened by the centuries." There's also a dangerous, man-eating bear, named Jacquot, roaming the place. Heller is forbidden the leave the place by his suspicious employer, but manages to get his letters to his friend through a 12-year-old boy, Jean-Marie, who acts as his Wiggins of the Baker Street Irregulars. I can see why some people are so eager to draw comparisons with Holmes, but, as said before, I found them to be superficial at best. 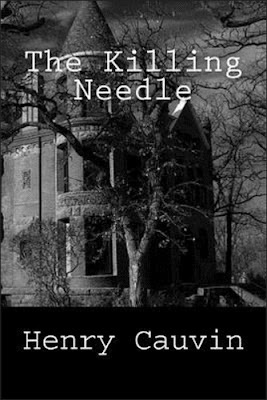 One of my fellow bloggers, "JJ" of The Invisible Event, accurately observed in his review of The Killing Needle that Cauvin's writing "brings to mind that of Maurice Leblanc." I couldn't agree more. The tone of the story is very reminiscent of the slightly more detective-orientated adventures of Arsène Lupin and you can almost imagine Heller being one of his many pseudonyms/disguises adopted after one of his disappearances from the public stage. JJ also points out that the book would work remarkably well as "a tonal companion piece" to Les huit coups de l'horloge (The Eight Strokes of the Clock, 1923). Once again, I have to agree with this observation. But all these comparisons distract from Cauvin's accomplishment as somewhat of an originator, which came here in the form of the impossible crime elements of the story. They're very minor aspects of the plot, but, historically, far from unimportant. Basically, there are two (semi) impossible situations: one of them concerns the second medical examination of the victim. The first one failed to find any traces of arsenic in the body, but the second one, carried out by the villainous Dr. Wickson, did reveal an abundance of arsenic in the corpse. Secondly, the locked room angle of the bedroom where the murder took place. These situations are either immediately solved or glossed over. However, the postscript, entitled "Clayton Rawson on Carr's Locked Room Lecture," noted how the solution behind the locked bedroom was mentioned by Rawson in his own lecture on impossible crimes in Death from a Top Hat (1938) – making Cauvin's novel "almost certainly the very first in the history of detective fiction" to use such kind of explanation for a locked room murder. It makes The Killing Needle an important entry in the annals of crime-fiction, because it's one of the first examples of the detective story exchanging the hoary plot-devices of secret passages and unknown poisons for real ingenuity. Something that would become more prominent in such landmark works as Israel Zangwill's The Big Bow Mystery (1892) and Gaston Leroux's Le mystère de la chambre jaune (The Mystery of the Yellow Room, 1907), which was further developed by such early authors as Jacques Futrelle, G.K. Chesterton, Max Rittenberg and The Hanshews. Eventually, it would blossom during the Golden Age, but the germ, or one of the seedling, of that long, decades-long process can be found here. The trick behind the poisoning of the corpse also showed some cleverness, but the method was almost immediately explained instead of being played up to full effect. 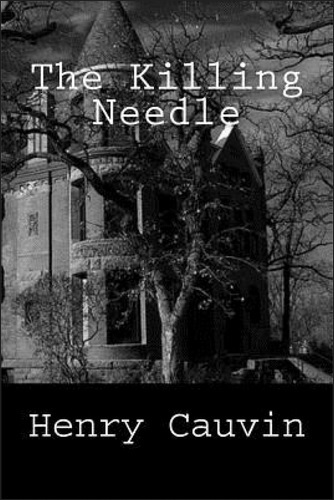 So, historically, The Killing Needle comes recommended to everyone who's interested in the history and development of the genre. I'm very glad this one was finally peddled across the language barrier by Pugmire and sincerely hope many more of these obscure, but important, interesting or simply well plotted, mystery novels will follow in the hopefully not so distant future. Thanks for the review, and it's always nice to know that there are more LRI titles I've yet to purchase and read. :D How would this title fare vis-a-vis the other LRI titles? Or with respect to a reader who just wants a good mystery, and is not overwhelmingly interested with observing the genesis of the genre? 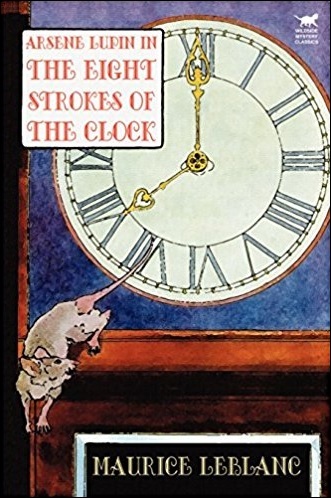 Honestly, this title is of slightly less interest to readers who simply want a good, intricately plotted and well clued detective story, because it was published in 1871 and the plot shows the dawn of the Golden Age was still half a century in the future. So you have to keep that in mind. That being said, it's still better than most of the modernistic garbage that has been published since 1960s. Well, it obviously took me some time to read your review, but I agree with everything you say, especially with respect to Maximilien Heller's (thin) relationship to Sherlock Holmes, which I'd rather ascribe to common ancestry (Dupin and Lecoq) than direct influence. Sadly ours seems to be minority opinion since even Jon L. Breen opined that Doyle might have borrowed from Cauvain.